In 2016-17, the City of Boroondara’s offence rate for most offence types was low compared to Victoria and the Eastern Metropolitan Region (Table 1). 54 of 79 for the rate of crimes against property. Regions with larger populations are likely to experience higher volumes of crime so it is helpful to look at offence rates per 100,000 residents to compare crime statistics across geographical areas. Victoria Police recorded 8,360 offences that took place in the City of Boroondara in 2016-17. This was an increase of 27% on 2014-15 (6,593 offences), due in large part to an increase in recorded thefts. Offence numbers for Victoria were also higher in 2016-17 than they were in 2014-15 (an increase of 13%). Figures 1 through 5 below show Boroondara offence data for the most recent three years published. Figure 1 shows recorded crimes against the person in the City of Boroondara from 2014-15 to 2016-17. The chart shows that assault crimes have been the most prevalent crimes against the person over the last three years, with a slight decline in reported assaults from 2015-16 to 2016-17. 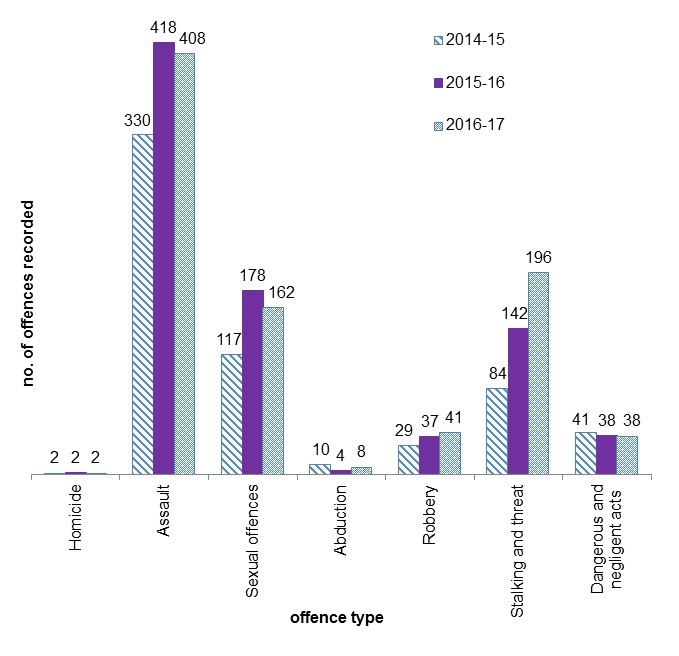 Sexual offences also made up a substantial proportion of reported crimes against the person, however the chart shows there was also a small decline in reports from 2015-16 to 2017-18. Figure 1 also shows a notable increase in reported stalking and threat crimes which rank as the second most reported crime against the person in 2016-17, after assault crimes. Figure 1: Recorded crimes against the person, City of Boroondara, 2014-15 to 2016-17 (source: Crime Statistics Agency). Figure 2 shows the recorded crimes against the property in the City of Boroondara from 2014-15 to 2016-17. It shows that property theft has been the most prevalent property crime over the last three years, with the number of theft reports significantly increasing from 2014-15 to 2016-17. 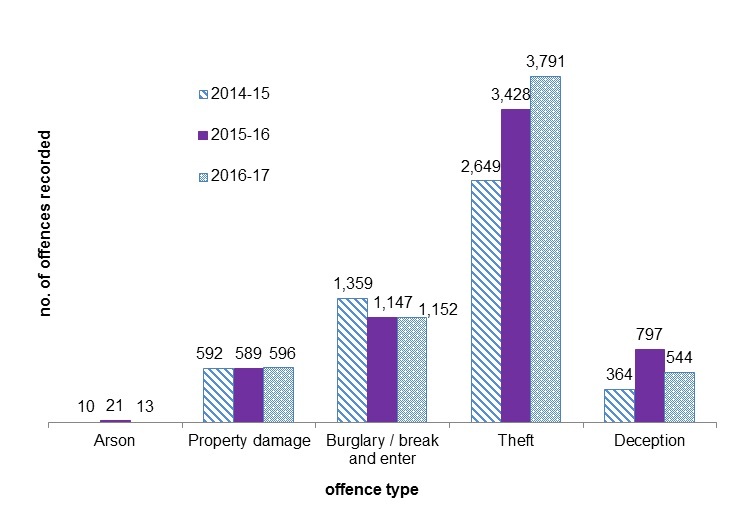 Burglary/break and enter offences are currently the second most reported property crimes, whilst property damage offences came in at third, with these figures remaining relatively unchanged from 2014-15 until 2016-17. Figure 2: Recorded crimes against property, City of Boroondara, 2014-15 to 2016-17 (source: Crime Statistics Agency). Figure 3 shows the recorded drug offences in the City of Boroondara from 2014-15 to 2016-17. 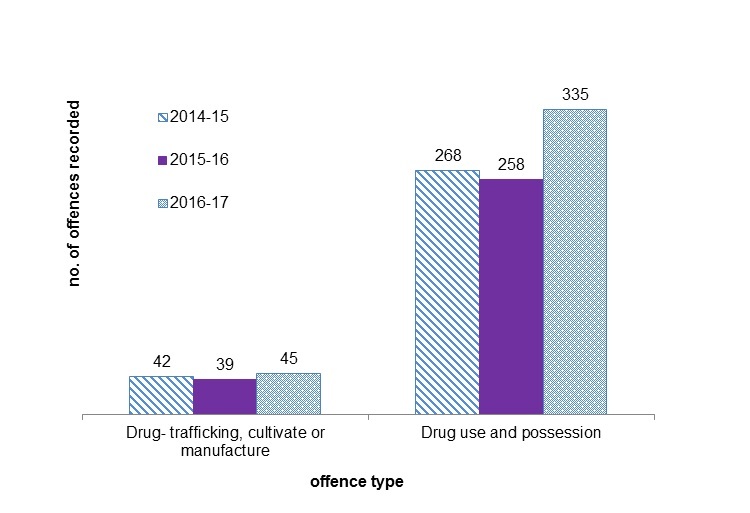 It shows that drug use and possession offences have increased 23% from 2015-16 to 2016-17. However, recorded drug-trafficking, cultivation or manufacturing offences have remained relatively unchanged from 2014-15 to 2016-17. Figure 3: Recorded drug offences, City of Boroondara, 2014-15 to 2016-17 (source: Crime Statistics Agency). Figure 4 shows recorded crimes against public order and security in the City of Boroondara from 2014-15 to 2016-17. 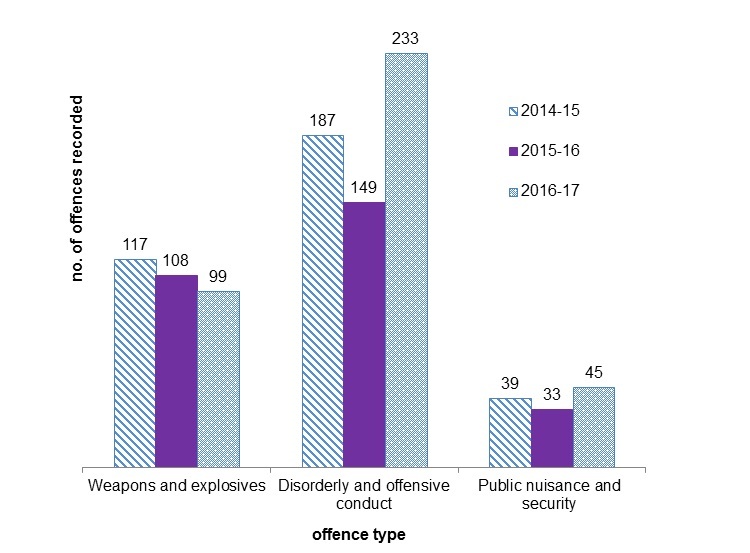 It shows that disorderly and offensive conduct is currently the most prevalent public order and security crime, with a substantial increase in incidents between 2015-16 and 2016-17. Figure 4: Recorded public order and security crimes, City of Boroondara, 2014-15 to 2016-17 (source: Crime Statistics Agency). Figure 5 shows the recorded justice procedures crimes in the City of Boroondara from 2014-15 to 2016-17. It shows a substantial increase in reports between 2014-15 and 2015-16 and a slight decrease in reports of these particular offences between 2015-16 and 2016-17. *Justice procedures offences are any act or omission counterproductive to the carrying out of justice procedures, for example, resisting or hindering a police officer. 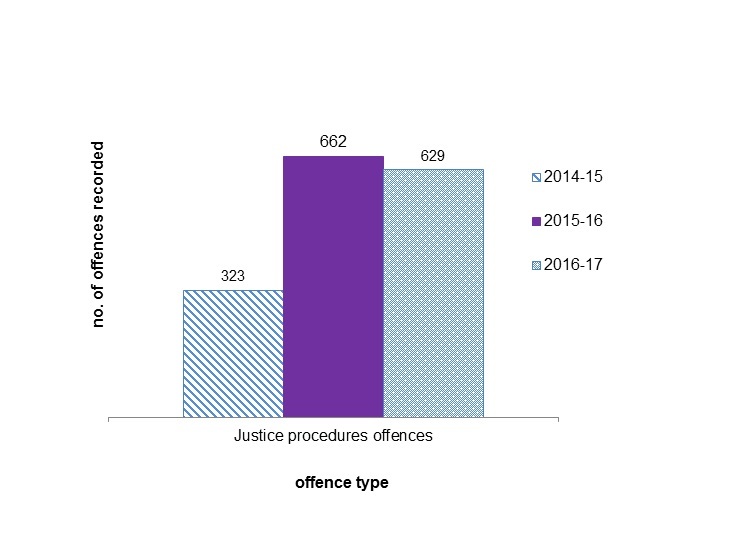 Figure 5: Recorded ‘justice procedures’ offences, City of Boroondara, 2014-15 to 2016-17 (source: Crime Statistics Agency). For more information on recorded criminal offences, including postcode level crime statistics, see the Crime Statistics Agency and the Greater Dandenong Social Statistics page.